It is unknown if the quake is caused by or related to volcanic activity, or whether some activity is actually occurring at the undersea volcano. The basaltic volcano rises to within 650 m of the sea surface and has a 2-km-wide summit caldera that is 200 m deep. Rift zones extend SE and north. 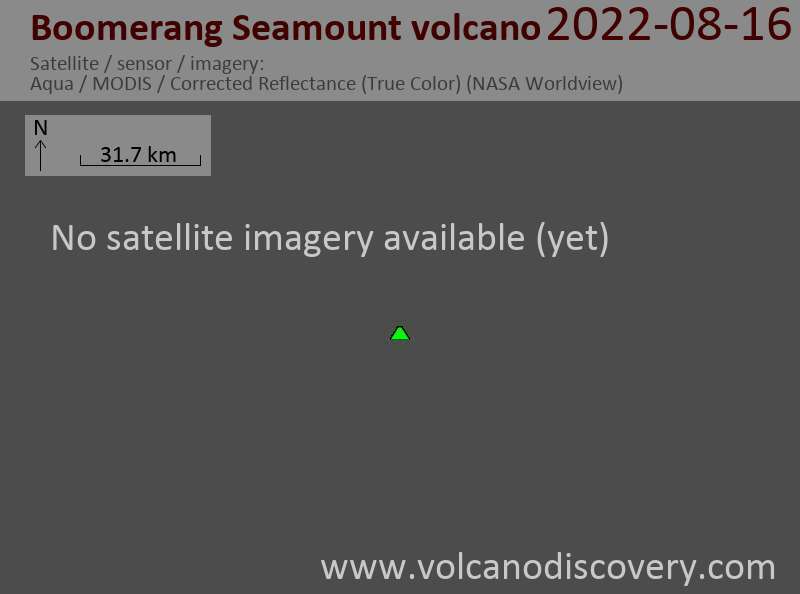 Boomerang Seamount is one of several active volcanoes on the axis of the Southeast Indian Ridge.